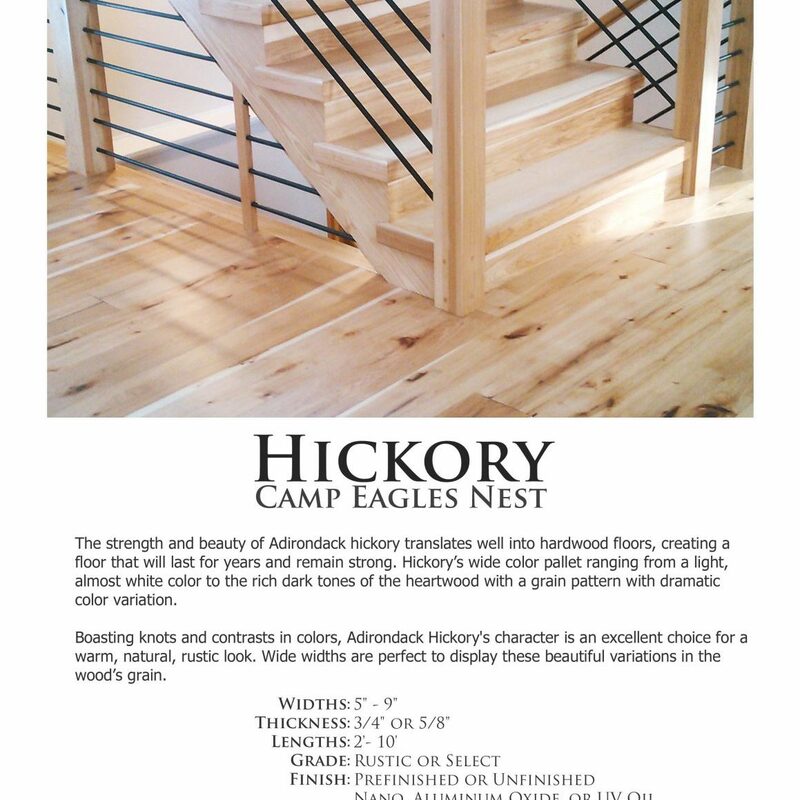 Camp Eagle's Nest - Hickory | Adirondack Wood Floor Co.
Adirondack Hickory has been used for objects that take abuse and require great strength such as handles, wagon wheels, and ladder rungs. 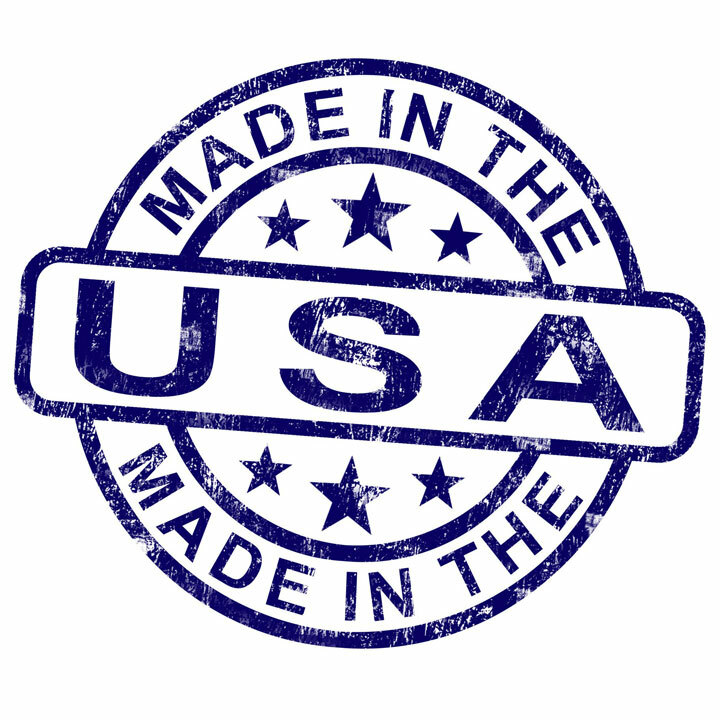 Hickory was the staple for hockey sticks, tennis rackets, bows, skis, and even fishing rods. The strength and beauty of Adirondack hickory translates well into hardwood floors, creating a floor that will last for years and remain strong. Hickory’s wide color pallet ranging from a light, almost white color to the rich dark tones of the heartwood with a grain pattern with dramatic color variation. Boasting knots and contrasts in colors, Adirondack Hickory’s character is an excellent choice for a warm, natural, rustic look. Wide widths are perfect to display these beautiful variations in the wood’s grain. 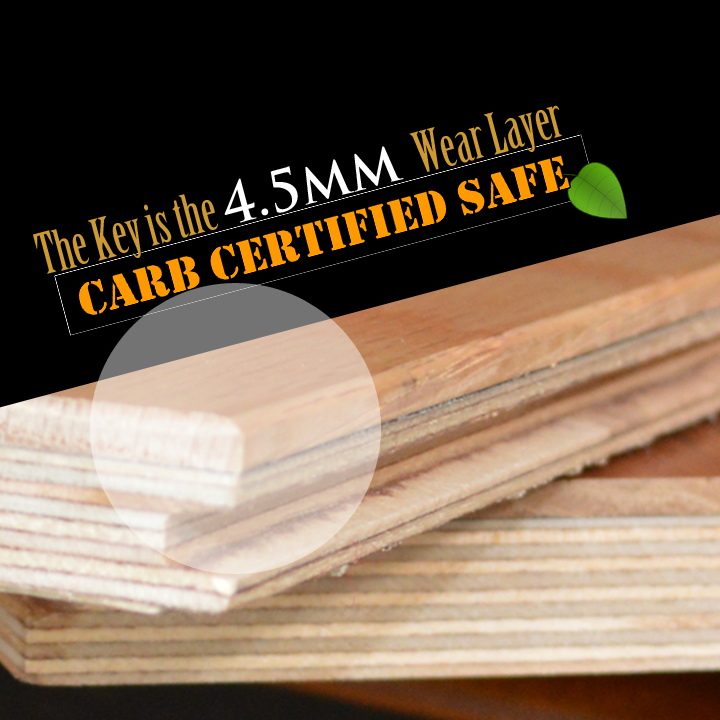 Our flooring is engineered with a 4.5mm wear layer to best maximize the use of this wood. That wear layer is engineered to the plywood base, which supports it for superior structural stability, leading to minimal expansion and contraction, creating a floor with a long life. American Indians used Hickory for bows and baskets, and also used the sap for a sugary syrup. Hickory nuts were used for meal and cakes. Of course, Hickory is well known for the smoky flavor it adds to ham and bacon.